Solar Disinfection, or SODIS for short, is a super simple way to clear water of pathogens. 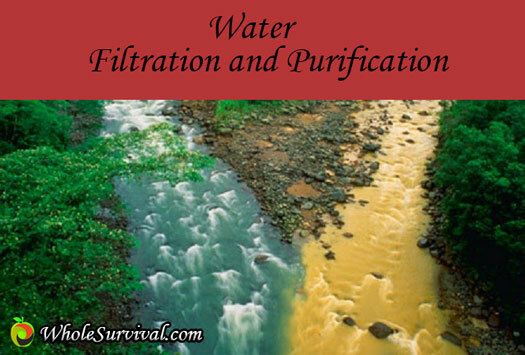 For some reason it doesn't some up often when looking at water purifcation methods. You usually find the standard; boiling, chemical tablets, carbon/ceramic filtration advice, but rarely do you see the SODIS method. Actually it is similar to using artificial UV disinfection. In this case however, the UV rays are coming from the sun! When the taps go dry, things can get very ugly pretty quickly. A normal North American household uses about 100 gallons of indoor water use per day. When the taps go dry, you will realize that you can get by on a fraction of that number. In fact, some can get by on only 1% of that number. That's right, only 2 gallons per day! If you are just starting out with your water storage and preparedness, you'll notice that there's lots of information and products concerning water purification and filtration. Although both processes remove contaminates from the water, they are not the same and should not be used interchangeably, although they often are. 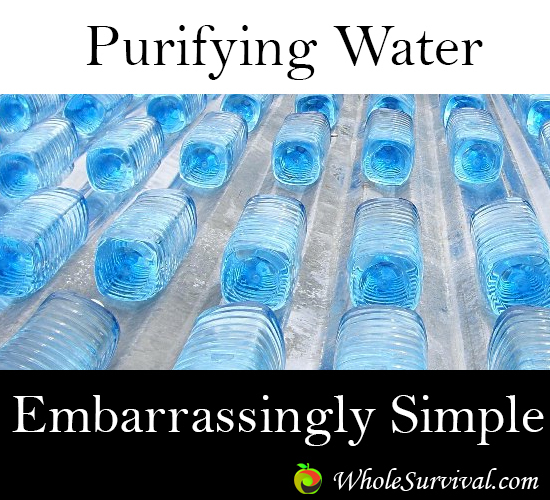 So in this article I just wanted to cover some of the basics of what the differences are between the two, and when you are most likely to use one or both of these methods to clean your water. 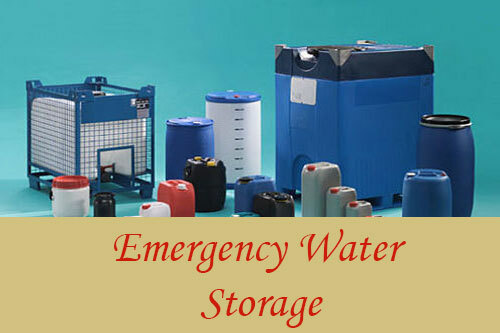 We all know that we need to store at least some water for an emergency. 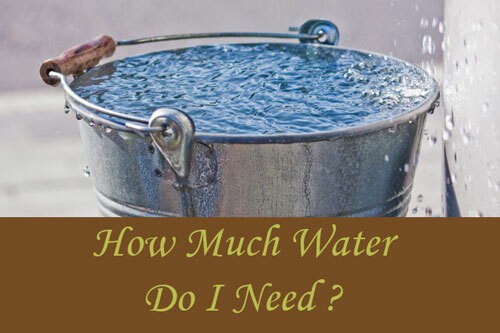 Once you have done the first step and determined how much water you actually need and want to store, you can start thinking about how and where you will want to put that water. Now, there are plenty of ways to store your water, most of them involving plastic containers of one size or another. But in a nutshell, the difference between what we call a tank, container or barrel is just a matter of size and shape. There are a number of factors that will help you to determine what might be best for you however, and I'll go through a number of ideas so that you get the jist of how to store your water properly in the appropriate holding vessel. Every individual situation is different and so a one size fits all water plan is not going to work. So, in this article I will go through different ideas to help get you thinking about your water storage needs. 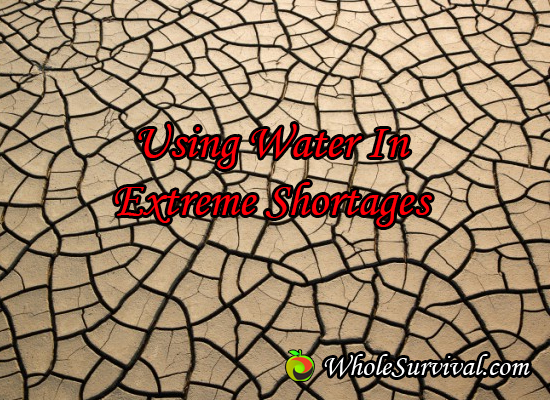 We'll start by looking at the estimated amount of water per day that is required per person. In doing my initial research, I've seen a minimum of one gallon per day per person, to up to 3 gallons per day per person being talked about on various prepper websites. Well if you are storing water for more than a few days worth, that can amount to a huge difference in the long term. So I went looking for the sources of these numbers. What I found was that the one gallon per day is a number taken from the U.S. Army Corps of Engineers (USACE) an emergency distribution number for basic survival purposes to keep people alive. It in no way represents a realistic long term survival number. So I kept looking to find some more information.